Event Description: CALL THE POLICE IMMEDIATELY IF YOU SEE THIS PSYCHOPATH ON THE ROADS! HE IS VIOLENT AND EXTREMELY MURDEROUSLY DANGEROUS! 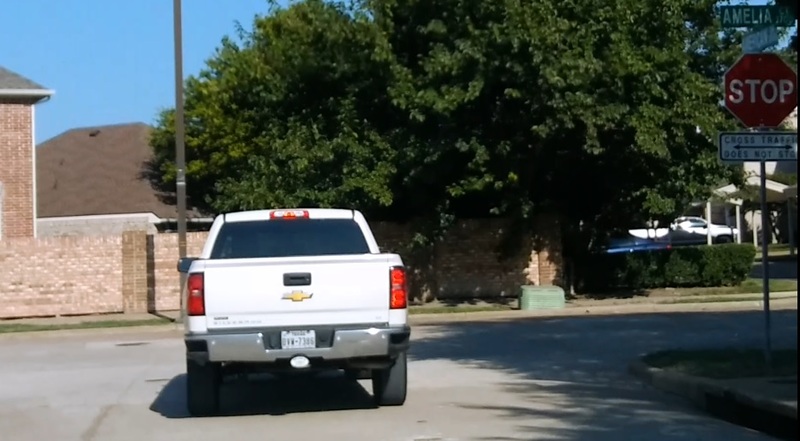 As I was passing the entrance/exit to the Plano hospital on American street, this VIOLENTLY DERANGED PSYCHOPATH was stopped there….and as I started to pass by HE LOOKED RIGHT AT ME AND GUNNED HIS TRUCK RIGHT IN FRONT OF ME!! I had to SLAM ON MY BRAKES, YET AGAIN…for ANOTHER MURDEROUS, DERANGED LUNATIC!!!! And THEN, he SPED THROUGH THE STOP SIGN OFF of American onto Amelia Court!!! He BARELY slowed down to take the turn too!!! And THEN HE SPED THROUGH THE STOP SIGN OFF OF Amelia Court onto PARK, INTO PASSING TRAFFIC!!!!!!! This piece of human garbage is EXTREMELY, PSYCHOTICALLY, MENTALLY DERANGED WITH MURDEROUS INTENTIONS!!!! !